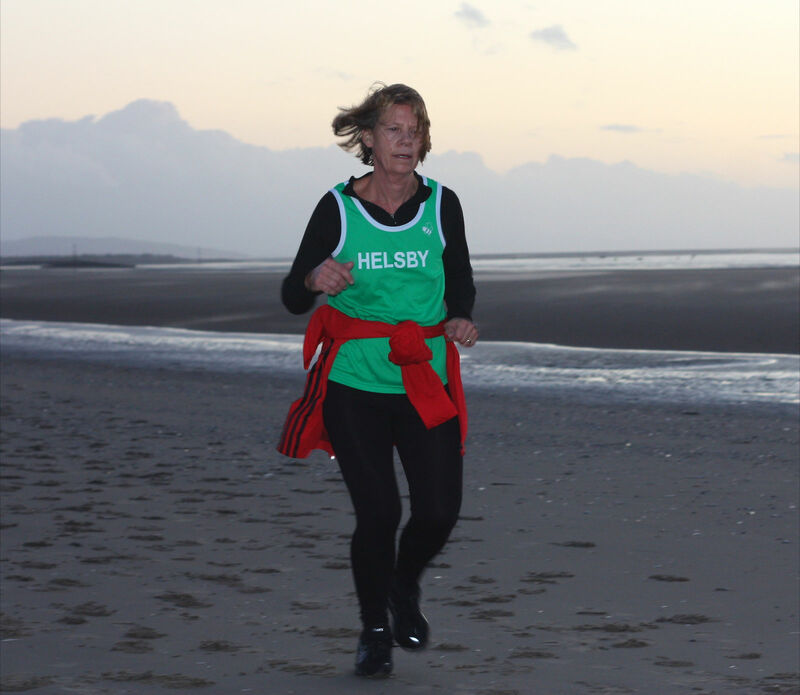 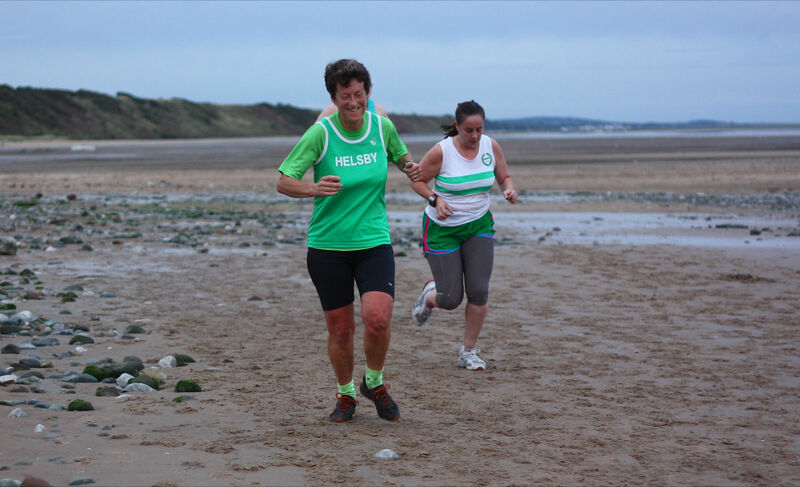 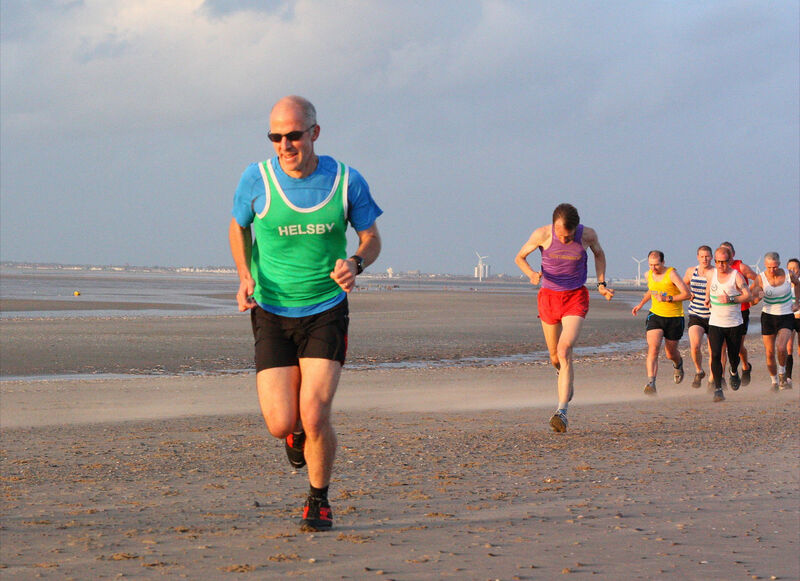 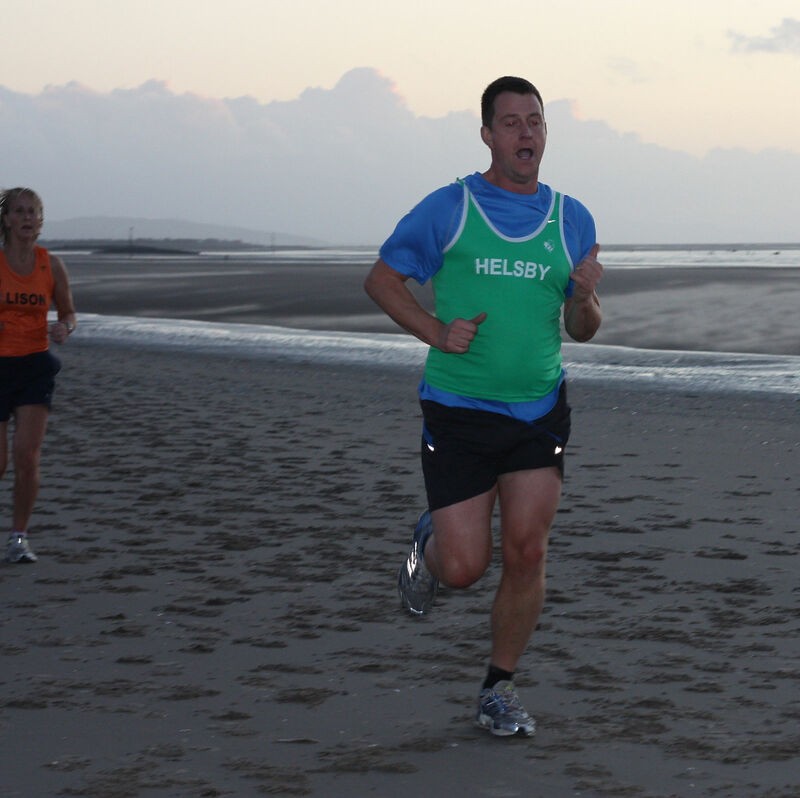 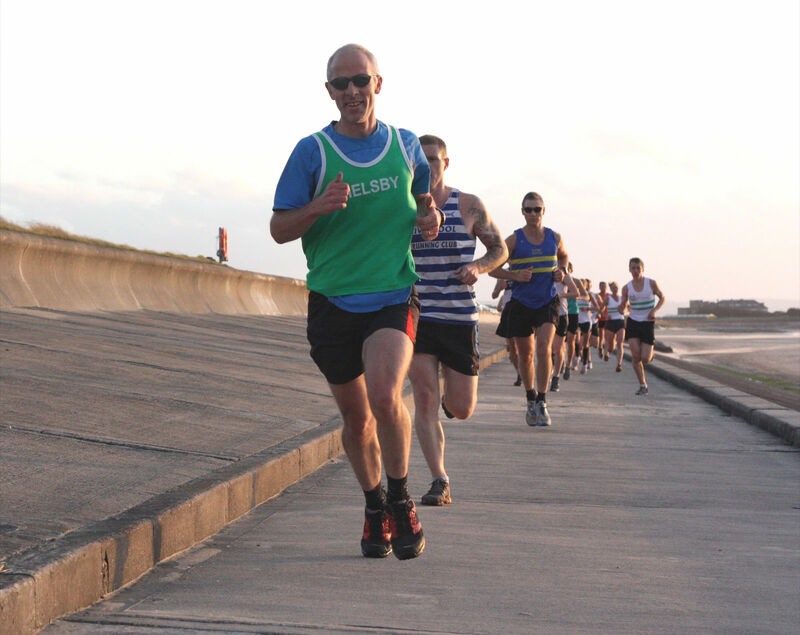 Results now out for last Tuesdays ever so slightly breezy beach run at Harrison Drive nr Wallasey. 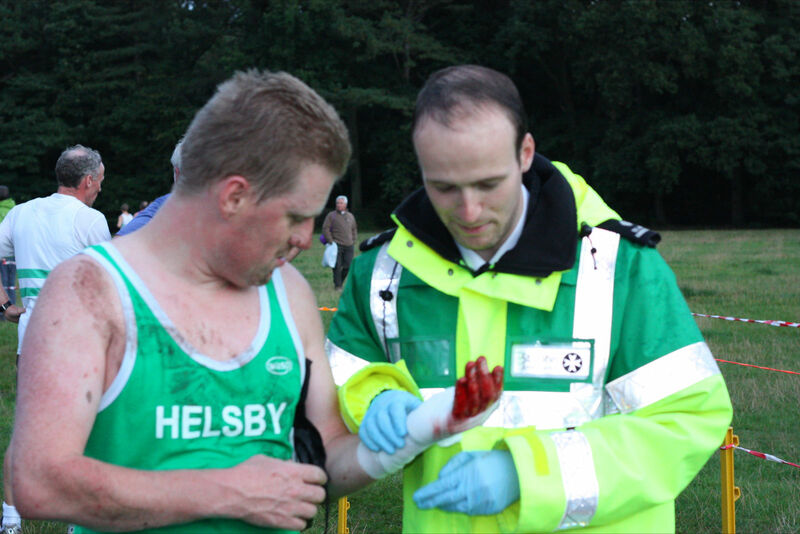 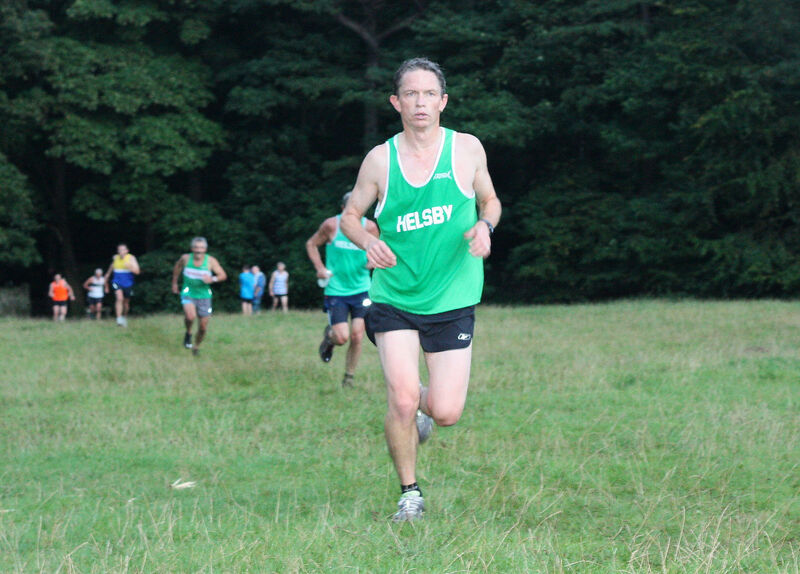 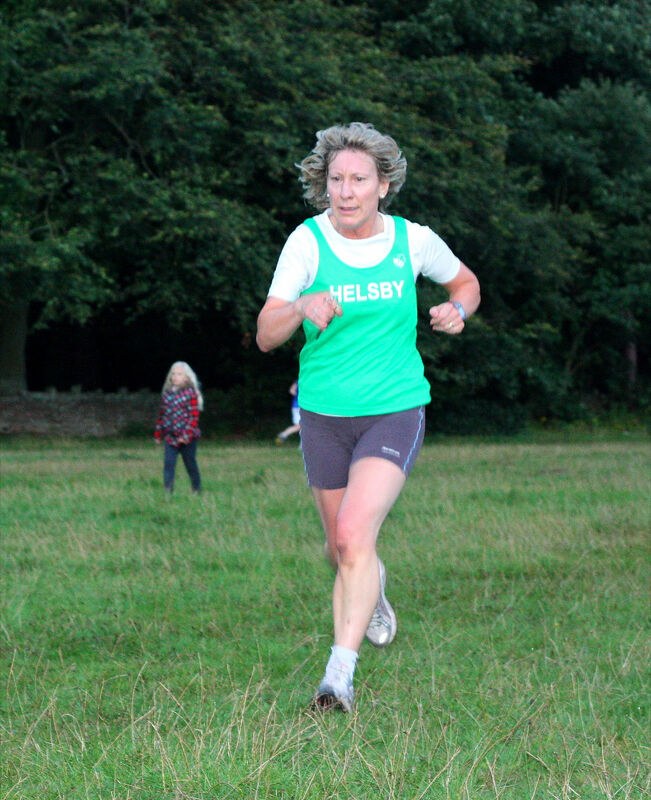 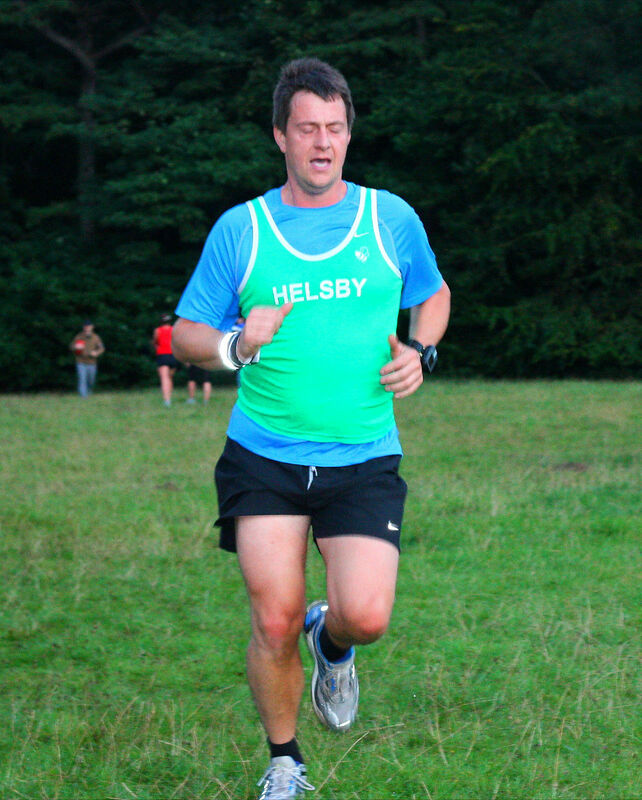 Some great results placing Helsby runners in the podium rankings for age categories. 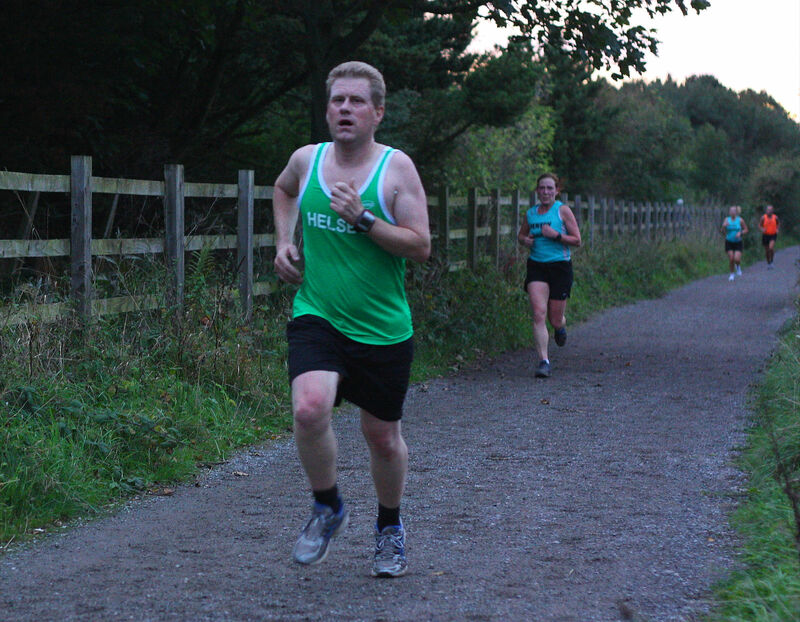 Thanks also to Joe, Mario, Steph and Mick for support on the night. 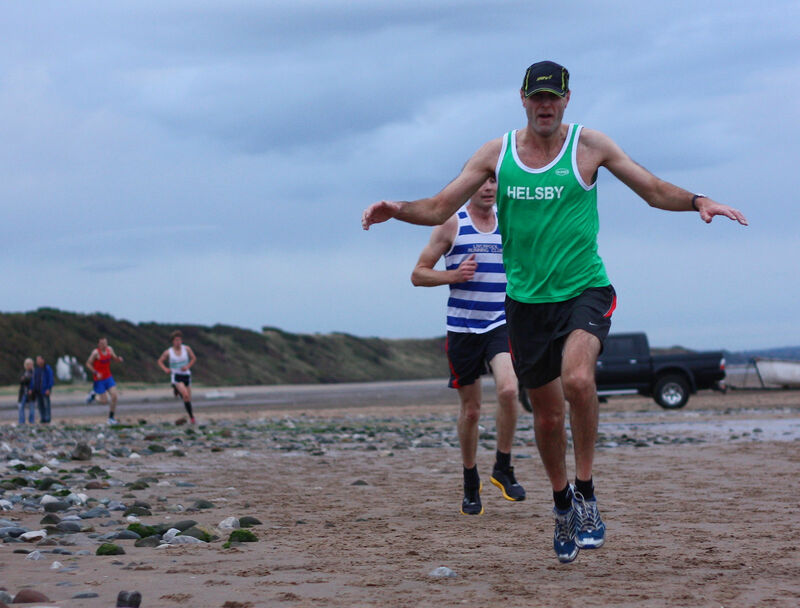 Some fabulous photos by Mick Charman below. 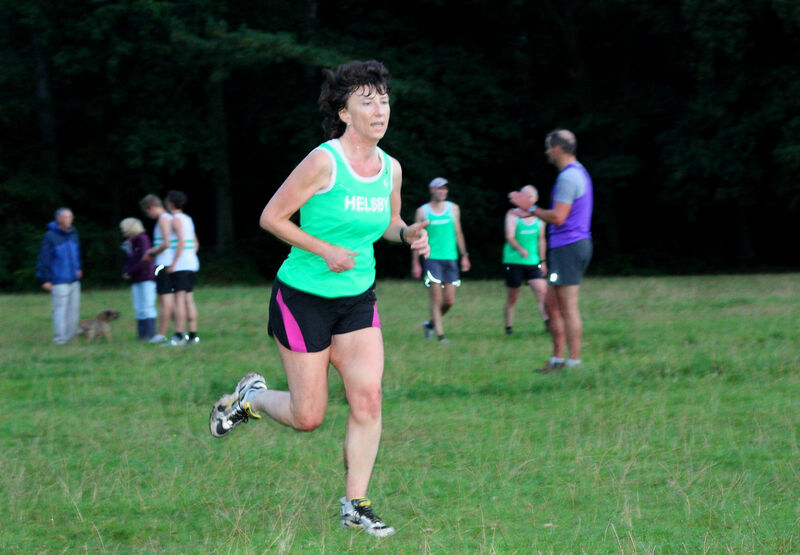 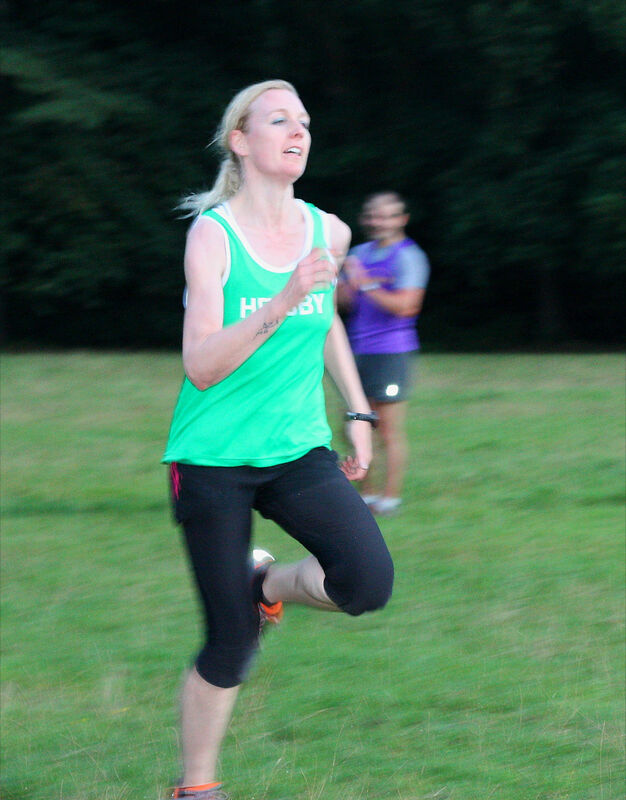 Next race is Tuesday night but at the earlier time of 6.30pm. 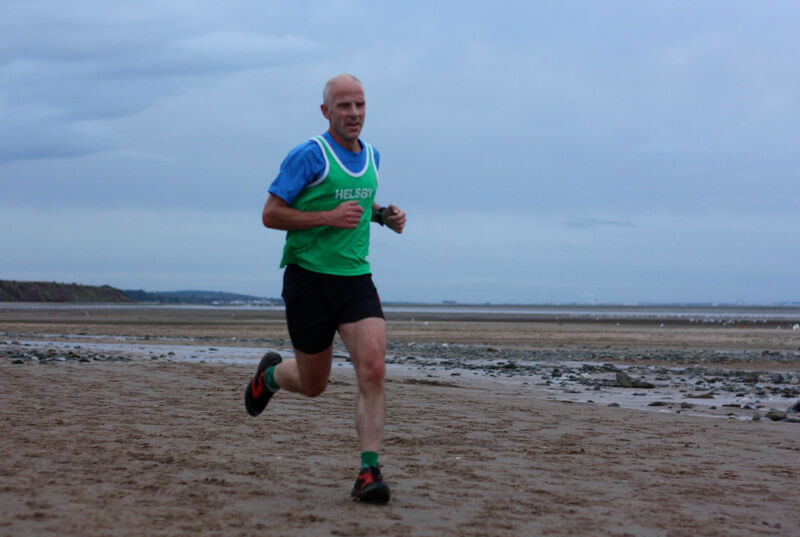 Unfortunately a little bit of sand once again but ‘hopefully’ less wind. 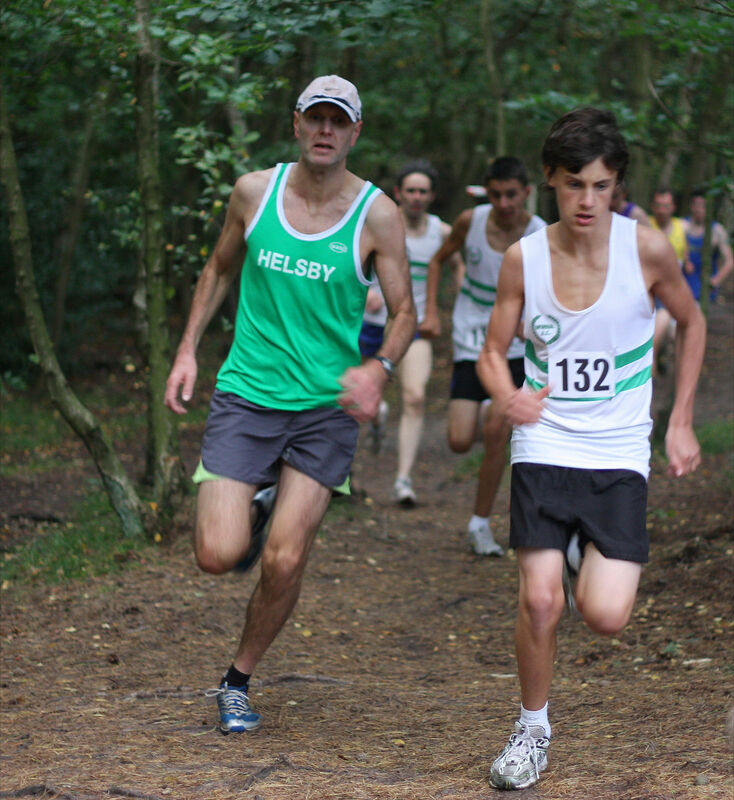 Race details on www.stevesaunders.co.uk but race is at Wirral Country Park, Thurstaston. 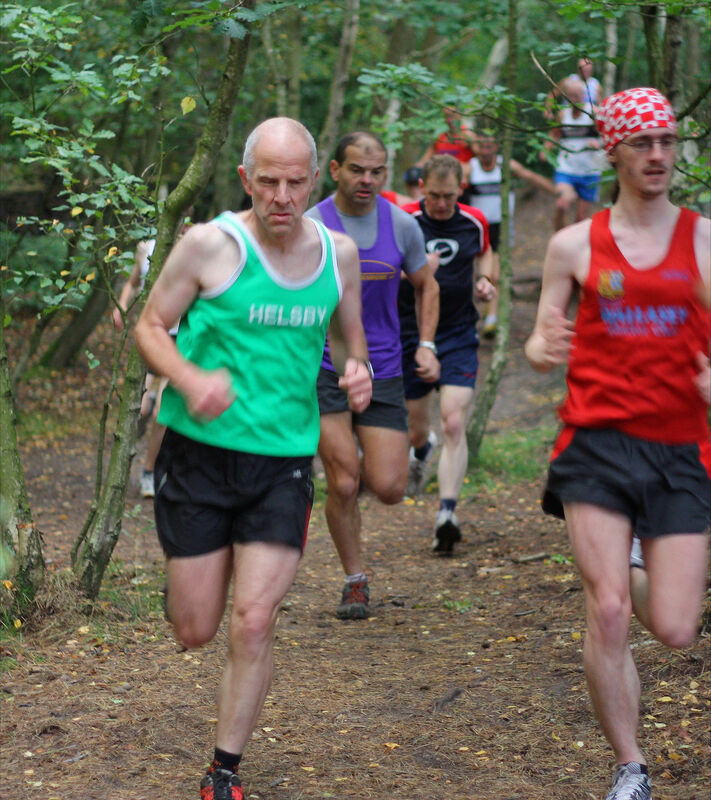 This race was a lap of the field, followed by a trail run through the woods and then over the red rocks and back through the woods, a two lap course. 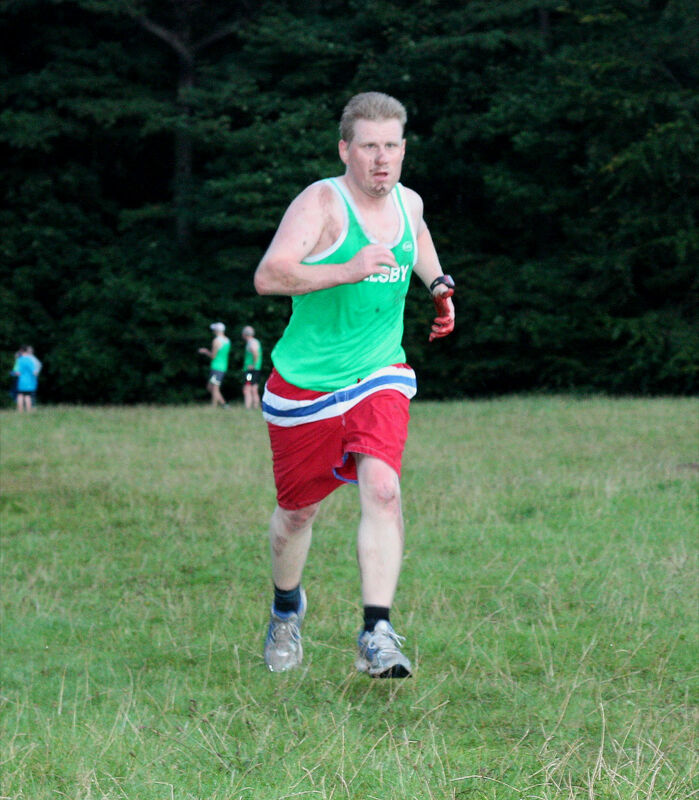 We did have a little rain on the night but considering the possible forecast things weren’t too bad at all. 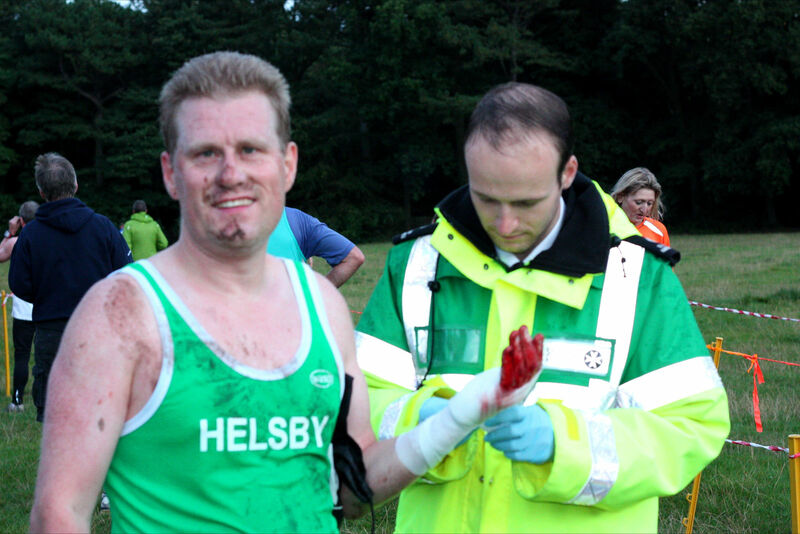 A few hiccups on the night, including bruised arms and stitches but I’m sure everyone enjoyed themselves! 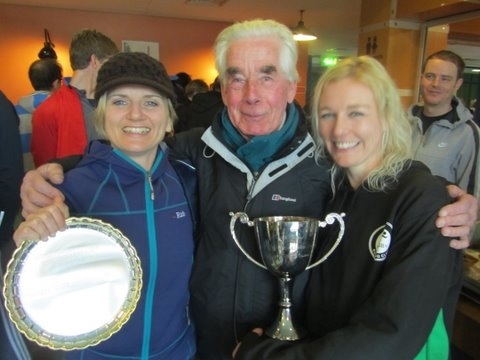 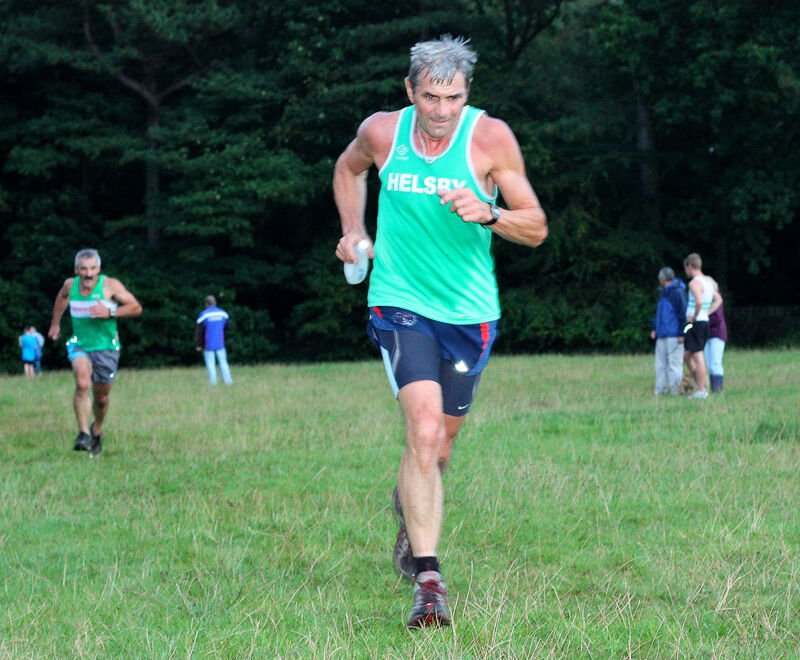 Some photos on the blog courtesy of Mick Charman. 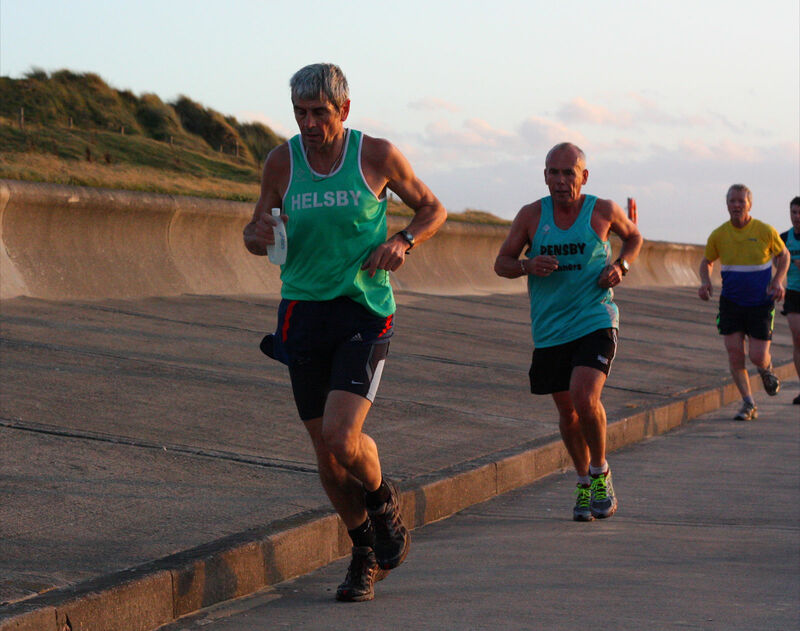 Great support as always from Joe and Mario and Steph. 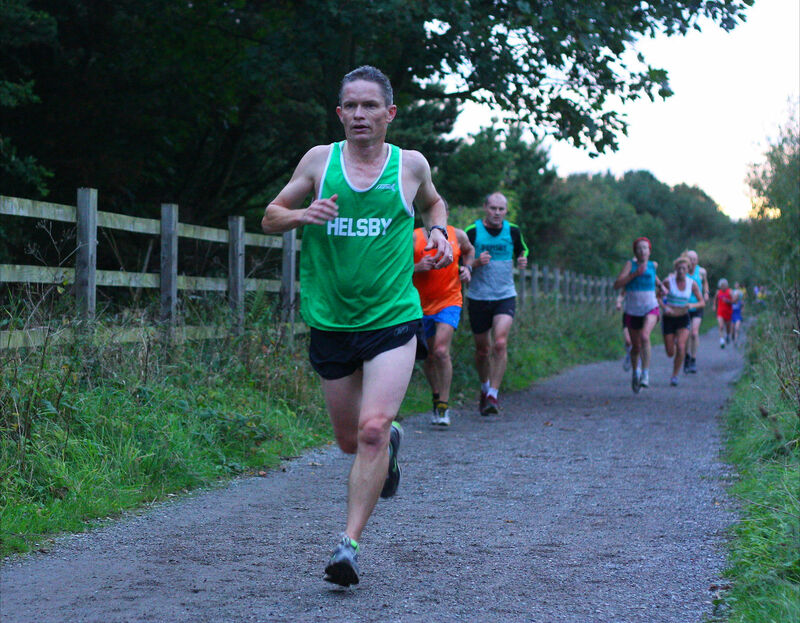 Fully recommended, not many midweek races after this till Spring! 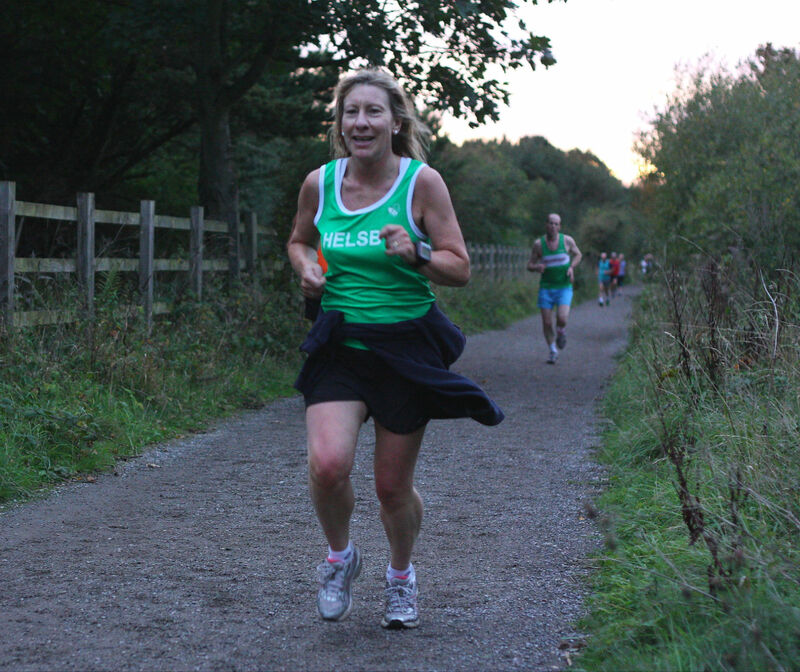 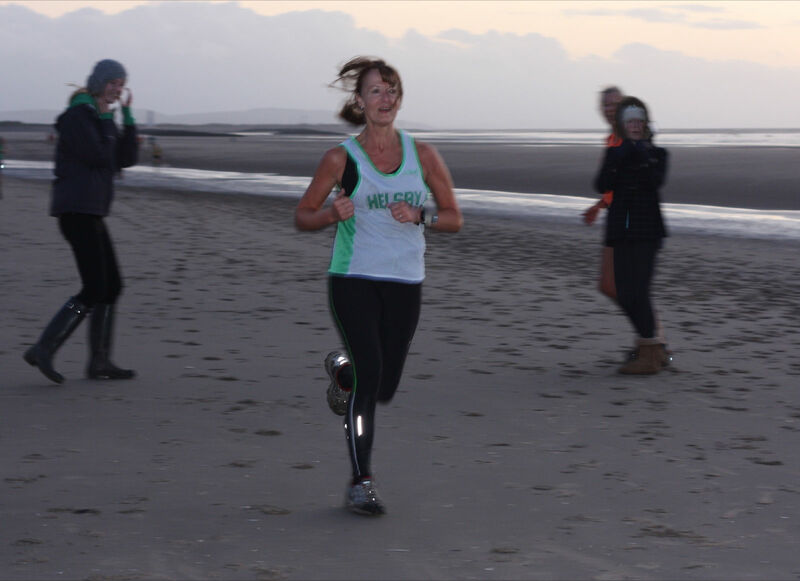 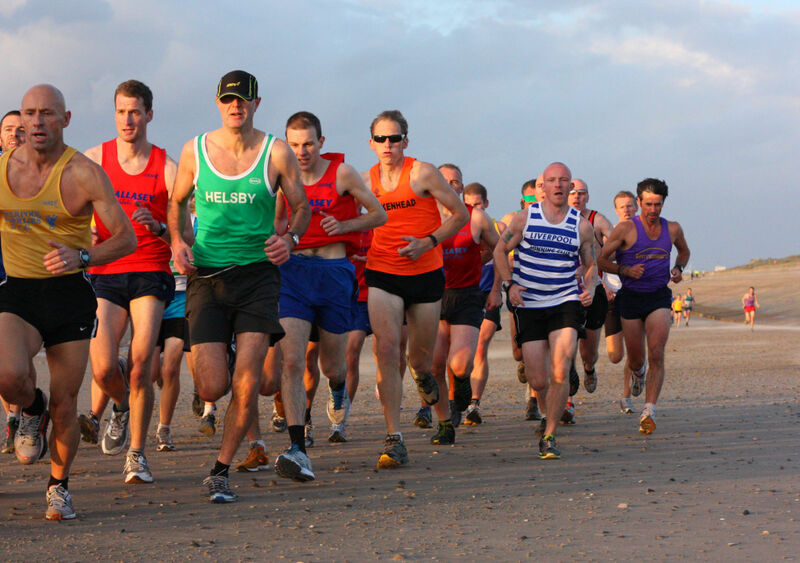 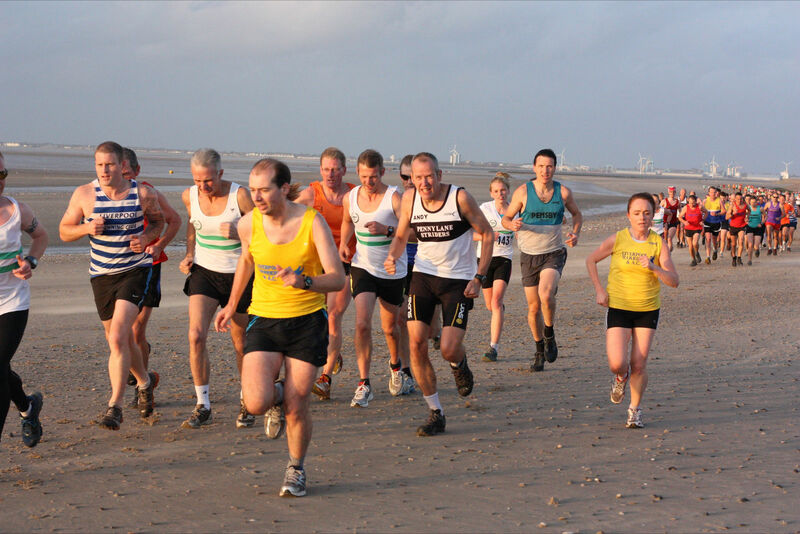 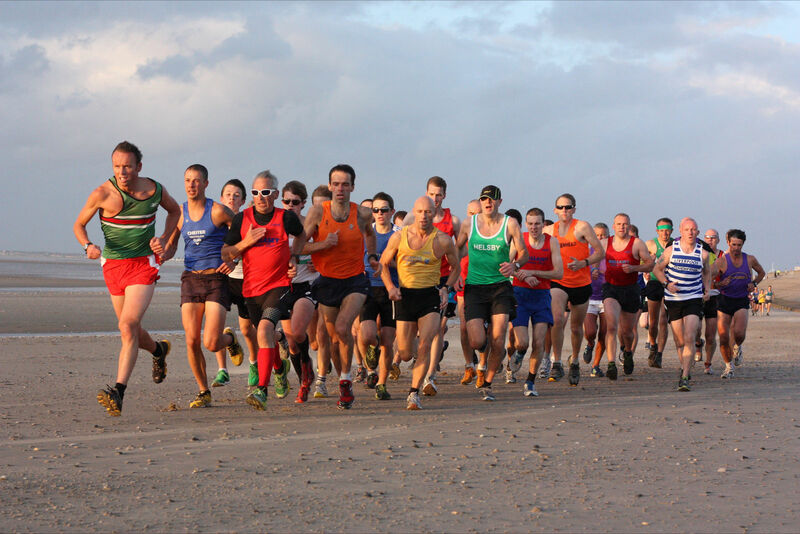 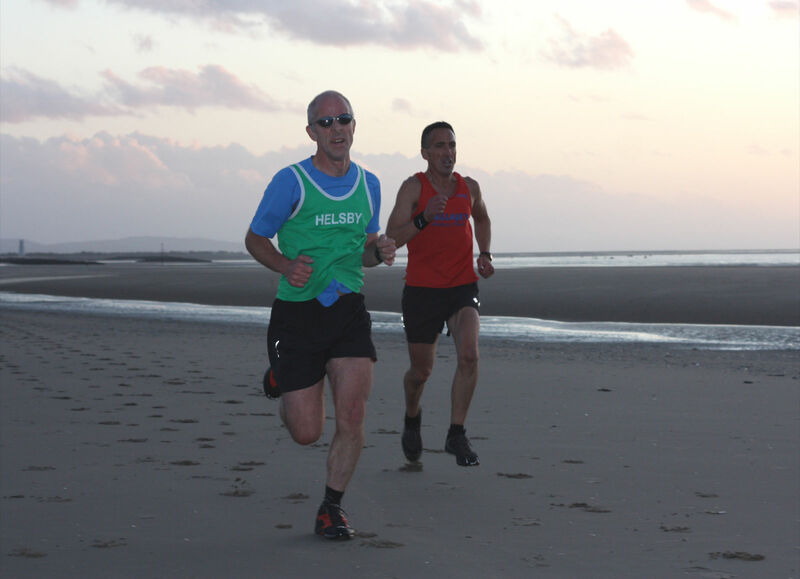 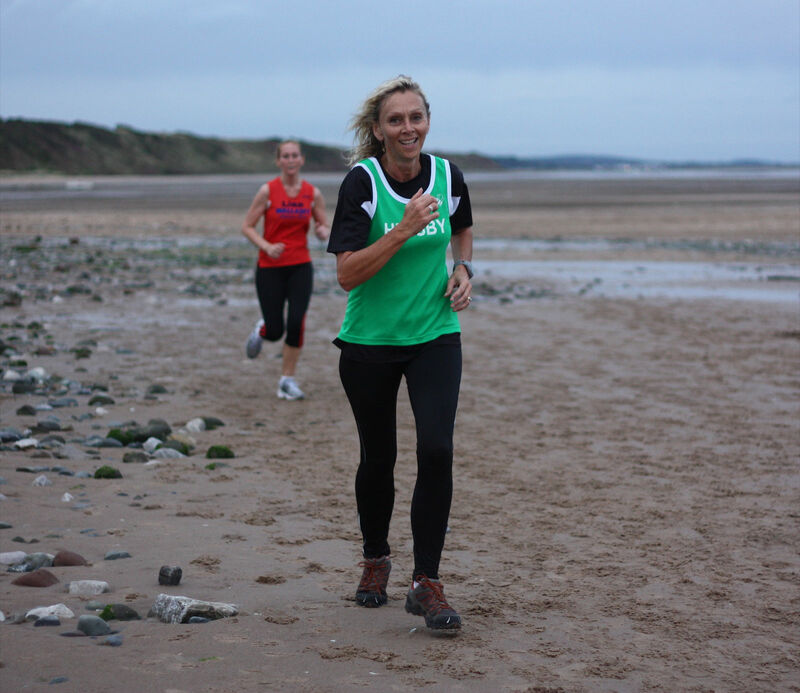 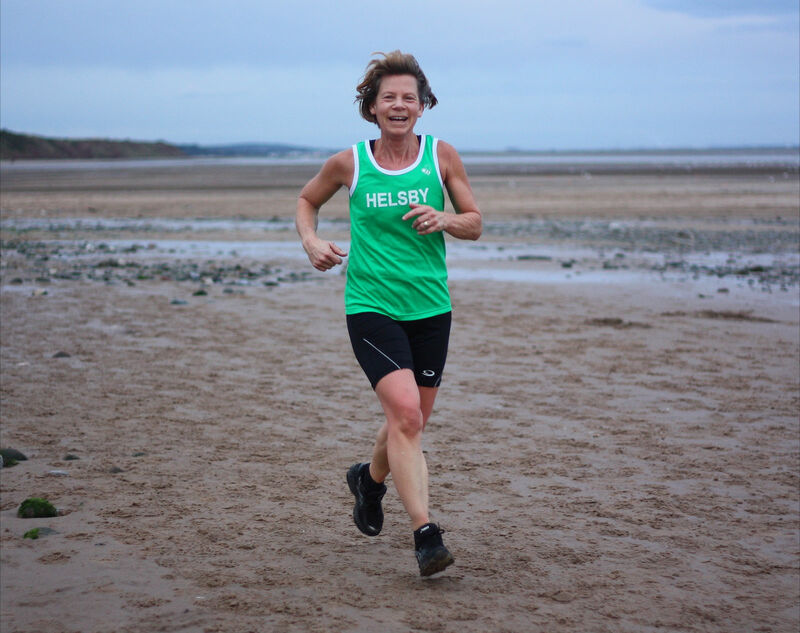 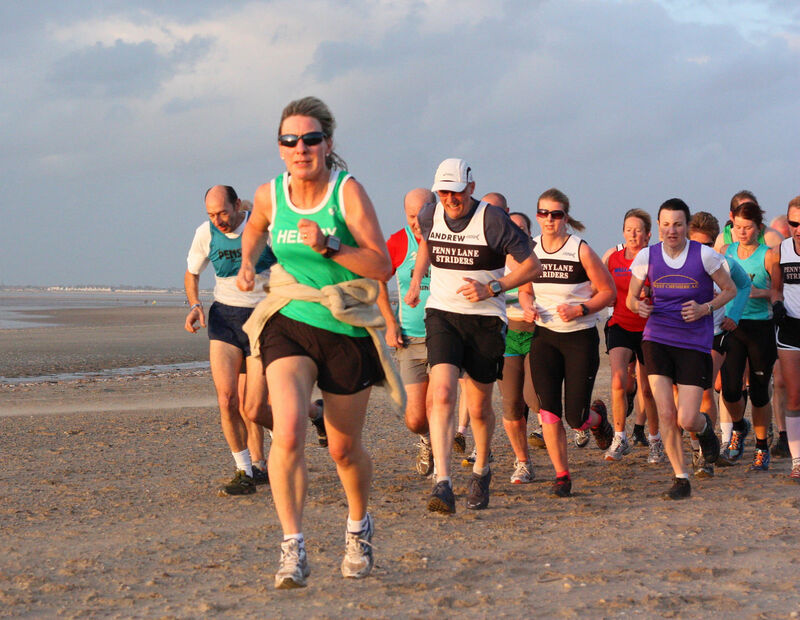 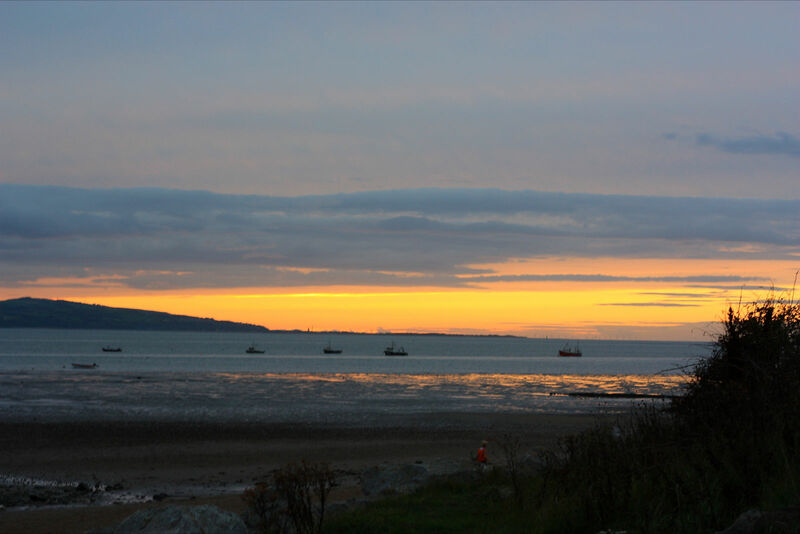 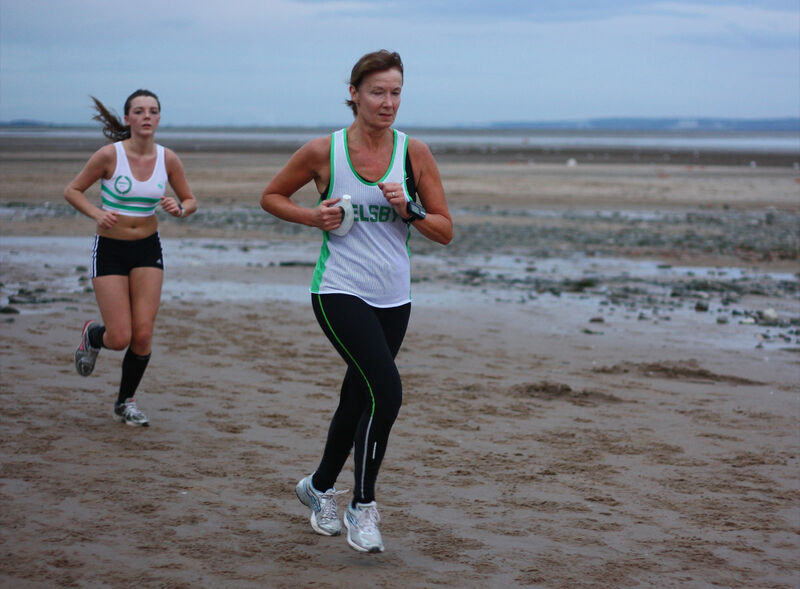 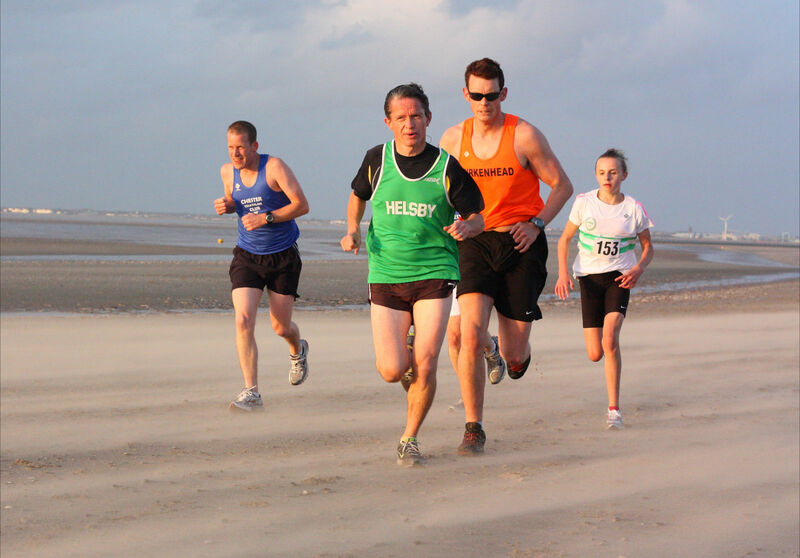 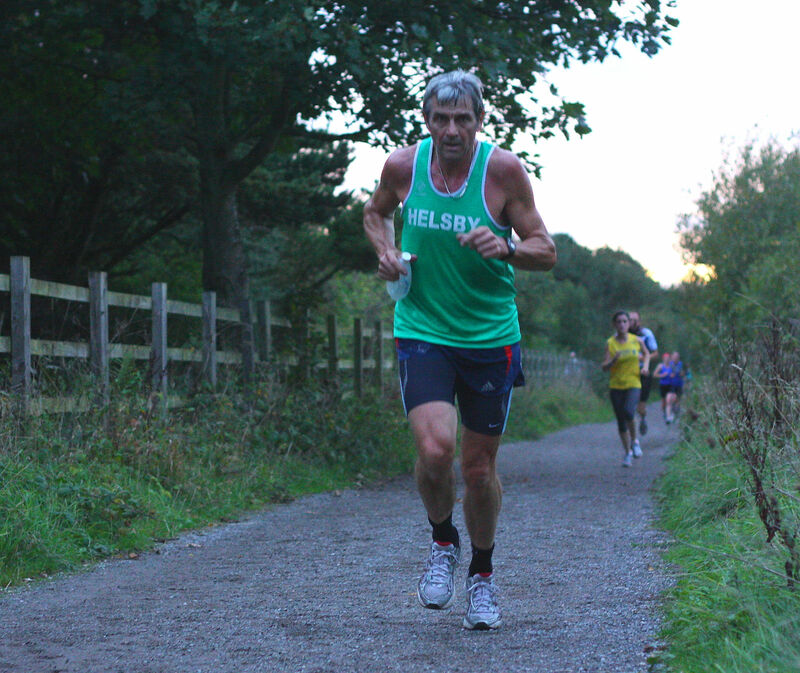 Although not run for the past couple of years this popular Wirral race sees a variety of terrain including some road, beach, trail and wood with many local clubs represented and very similar to the multi-terrain series held on each Tuesday in September later in the year. 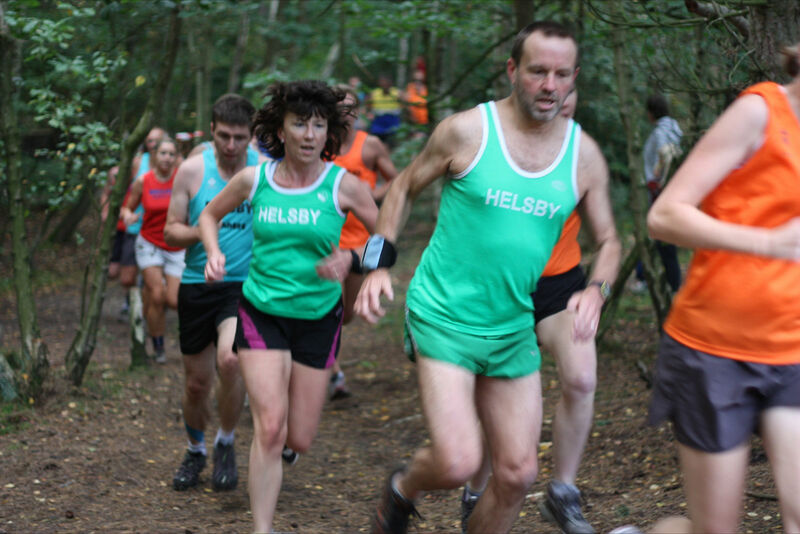 142 runners on the night with 4 representing Helsby.